We are absolutely exploding with faerie dust and are beyond ecstatic to announce our confirmed attendance at FaerieWorlds in Eugene, OR this year. It has been a dream over 6 years in the making, and 2013 is the year for us! FaerieWorlds is the worlds largest annual faerie music and art festival. 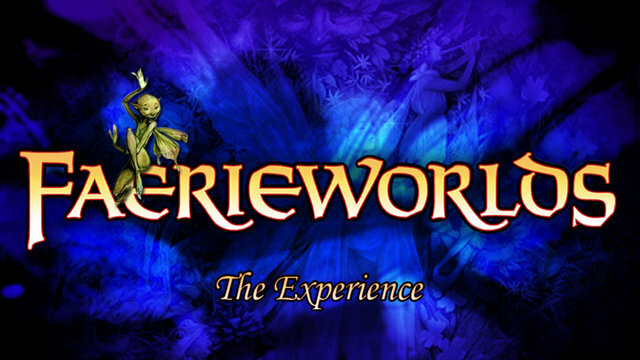 The festival features musicians, artists, authors and crafters whose work is connected to the faerie realm. You’ll find us at our Living Fae booth among the FaerieWorlds vendors. 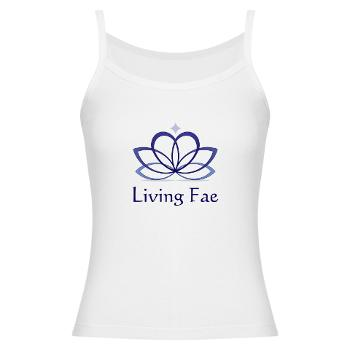 We’ll be selling a variety of Living Fae branded faerie items. Everything from custom designed flower feather hair accessories, faerie lights, faerie wishing charms, fae goddess jewelry, Living Fae Tee’s and Tanks, as well as Melanie Dawn’s book, The Land Beyond Time and the Faerie Master Spell Guide. Melanie Dawn will be onsite for book signings and if you ask nicely she may even narrate a page or three for you. 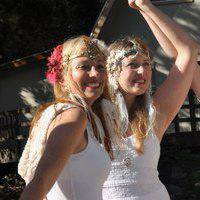 Melanie and Anne will also be available for any questions you might have on rituals, blessings, altar and sacred space design, and what it means to walk the spiritual path of a living faerie and light worker. As we come closer to the event we will update this post with any new relevant information related to the event. This entry was posted in Stories & Events, Where to Find Us and tagged Faerie Products, FaerieWorlds, FaerieWorlds 2013, FaerieWorlds Vendors, Fairies, Fairy Festivals, Middle Grade Books, Pagan Art and Music. You are living proof that dreams come true. So proud of you Melanie.